Are you hosting a live video event on your blog or website? If yes, then you can make the whole even more interactive and chatty by using real time Facebook chat on the same page on your blog or website. This is possible using Live Stream Box that allows you to embed real time facebook chat widget on your webpage. Live Stream Box allows users to login using their Facebook accounts powered by Facebook Connect. They can communicate and get chatty with each other about the live event. This application can support millions of simultaneous users during a live event session. Besides commenting on each others comments, you can post updates on your Facebook profile and even share URLs linking back to your website. Click here for instructions to add Live Stream Box to your website. 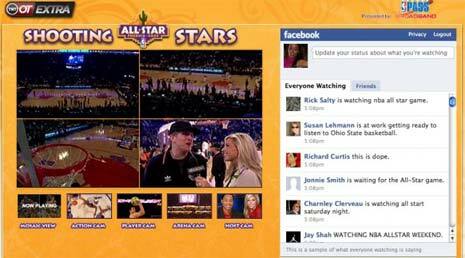 So get chatty during live event powered by Facebook and Live Stream Box, like it? :O I couldn’t find the URL for instructions to embed chat in websites. Can you update it? This post couldn’t be more right!!! Has this feature been turned off? Both links seem to be broken. Thanks so much for this information. Now I too have intergrated FB w/ stream!